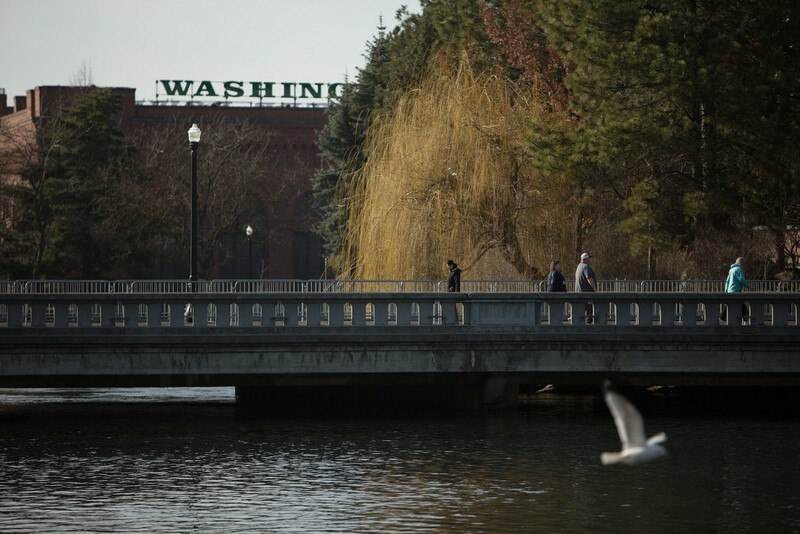 Temperatures in the 50s brought residents to Riverfront Park and the Spokane Falls in lighter-than-winter clothing to jog, feed birds and take leisurely walks. 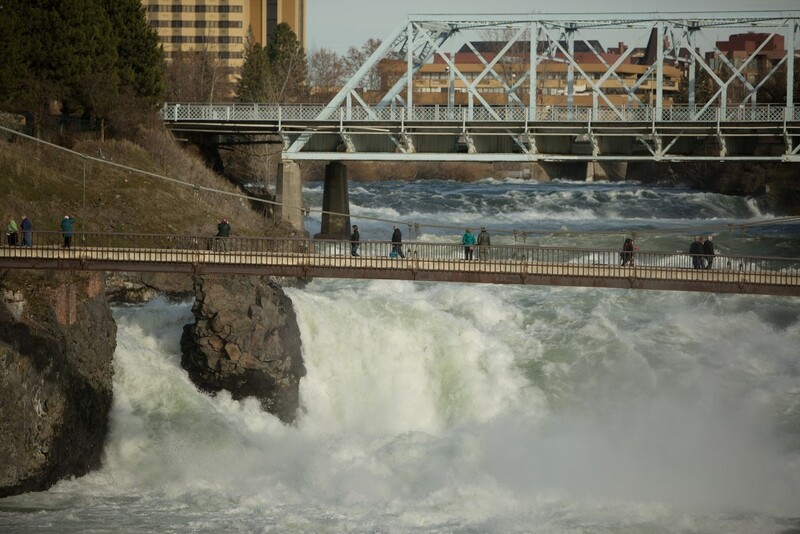 Many walked the suspension bridge to watch the heavy flows of the Spokane River, flows that are more common during spring months, as opposed to the middle of winter. 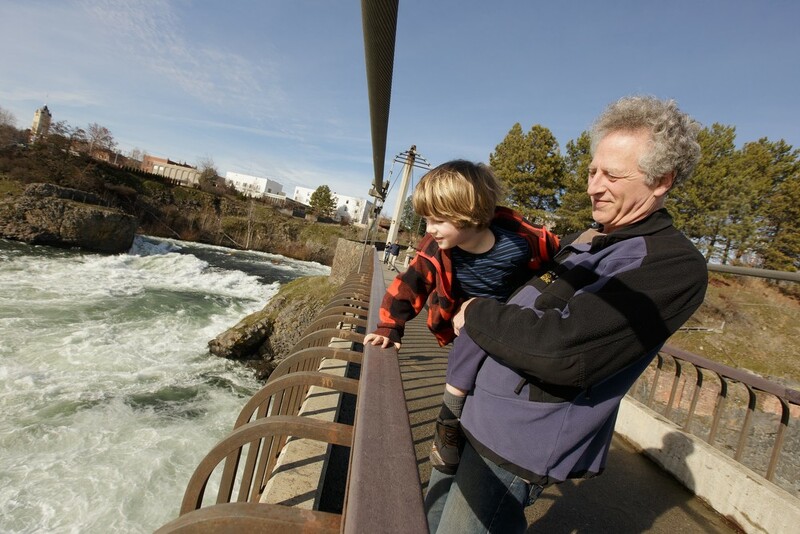 Mark Solomon holds his 3-year-old son Alex on the suspension bridge to view the Spokane River. 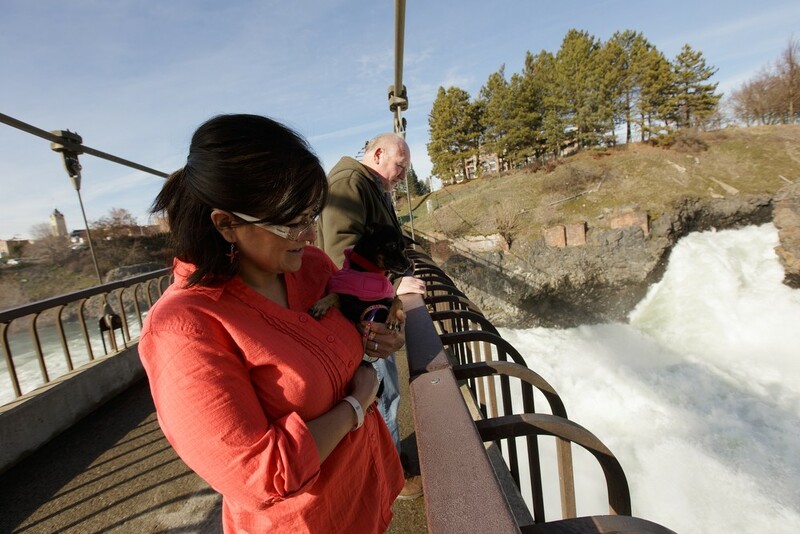 Maria Bazan, holding her Chiweenie Sally, and her husband Frank on the suspension bridge to view the Spokane River. Pedestrians cross a bridge as a bird flies by. 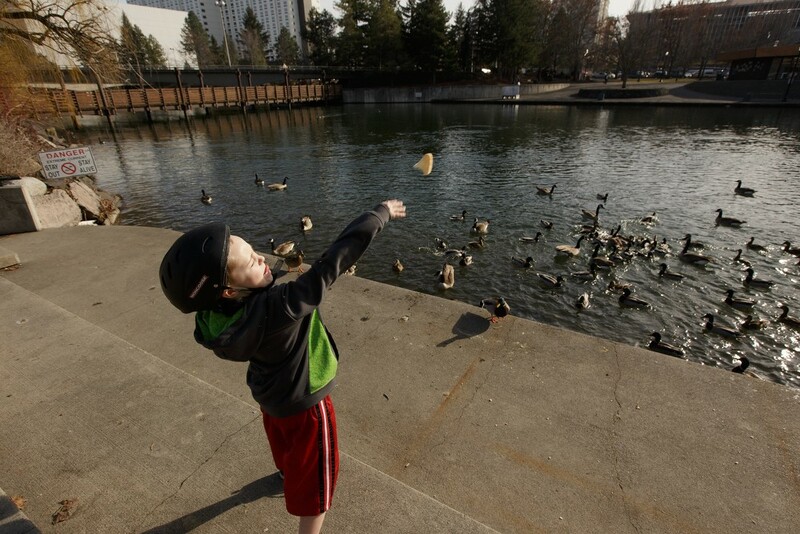 Seven-year-old Cramer throws bread towards ducks and geese. Mike Jouwstra, right, his wife Emma, center, and their 18-month-old son Oren watch ducks and geese. 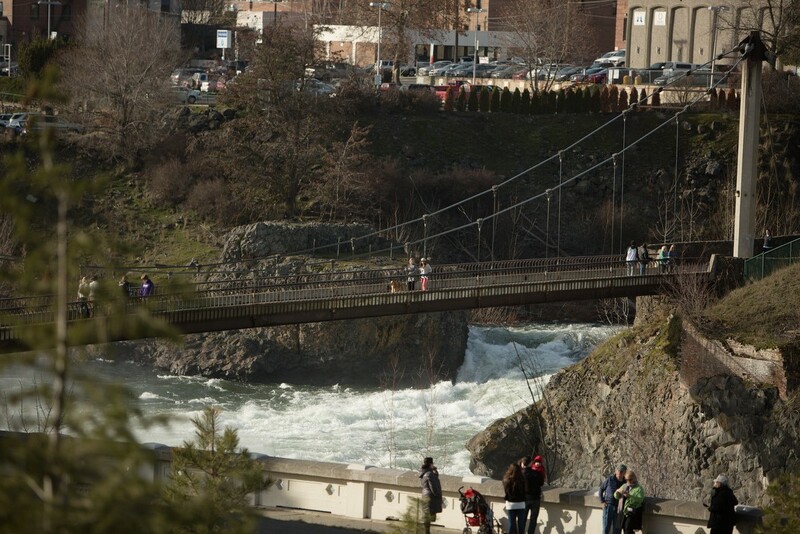 Pedestrians cross the suspension bridge over the raging Spokane River. 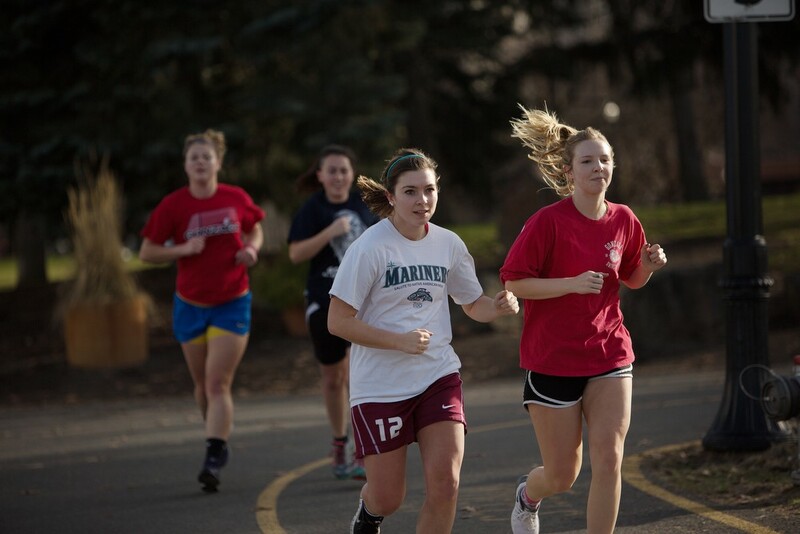 (Right to left) Gonzaga students 19 year old sophomore Emily Kleier, 20 year old freshman Ashley Taylor, 21 year old junior Carissa Thomas and 21 year old senior Amanda Minter jog down a path. 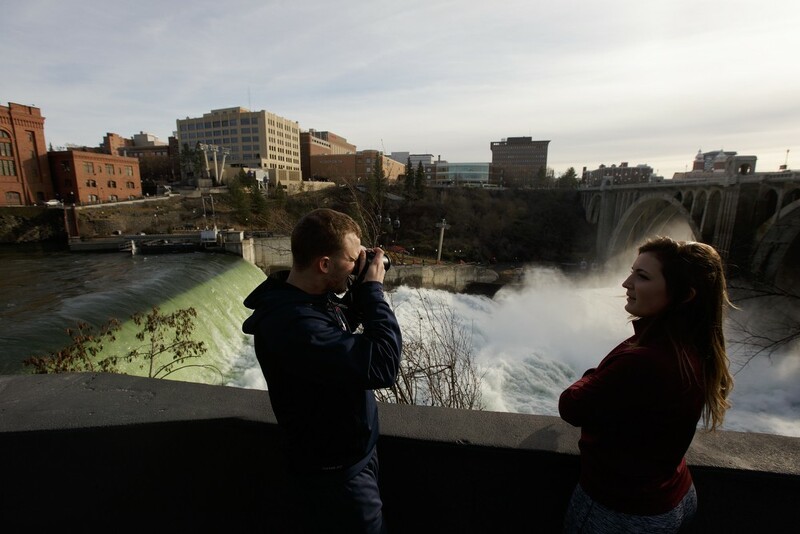 Garrett Frederick, left, photographs the Spokane Falls as Samantha Brady watches.